mango pickle recipe | aam ka achar | instant mango pickle recipe with detailed photo and video recipe. 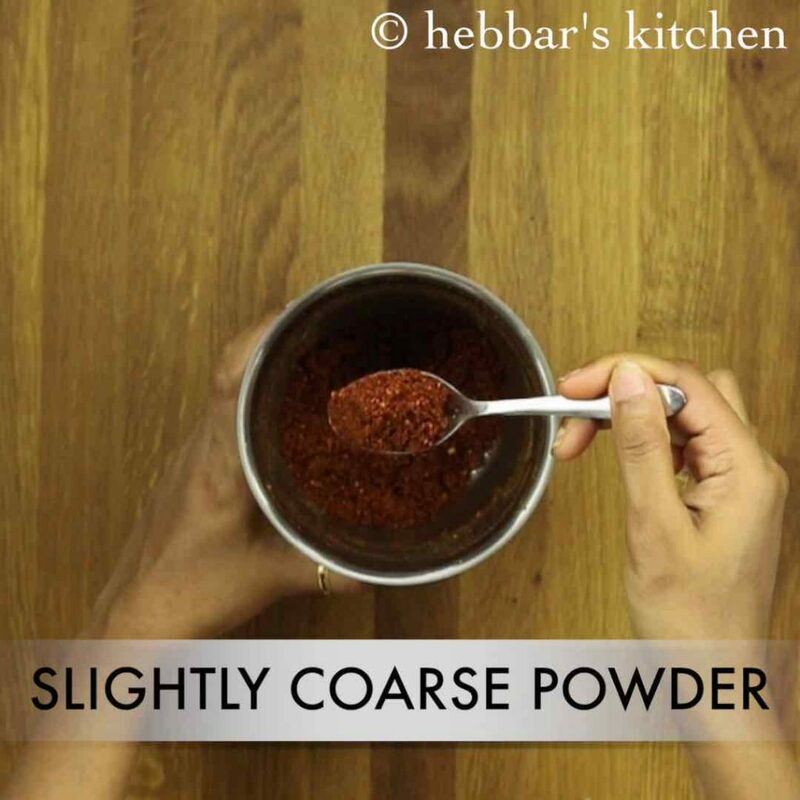 a favourite and popular spicy condiment which can be served with almost all indian recipes. this version is also popularly known as ‘adangai’ in my hometown, udupi and is typically prepared instantly during any occasion or function. 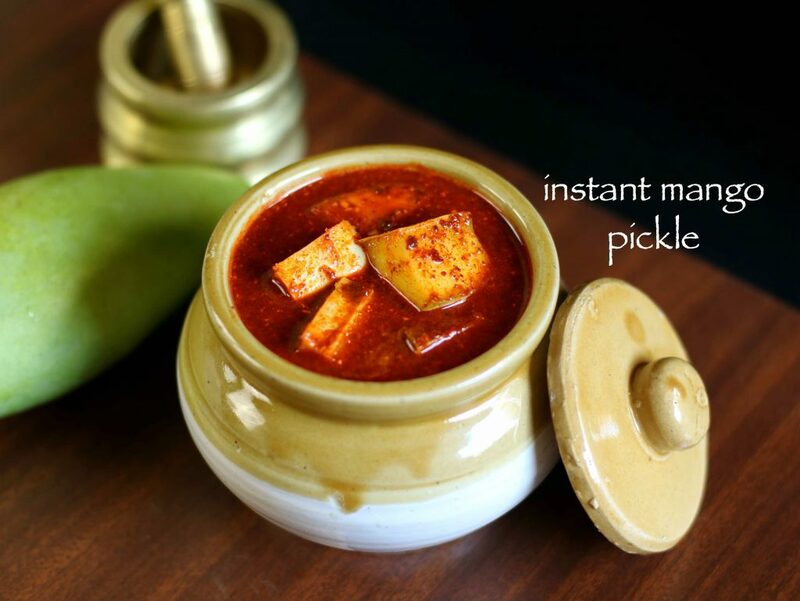 mango pickle recipe | aam ka achar | instant mango pickle recipe with step by step photo and video recipe. this instant lip smacking tangy pickle is prepared from raw mango or popularly known as kheri or kachi kheri amm. while, mango pickle recipe is quite popular one, but this pickle can also be extended to lime, amla and even to sour ambade or spondias. when it comes to mango pickle, there are several varieties, variations which changes region to region. this is a instant recipe of raw mango shared from my father who prepares it quite often and i really like it. some other popular variety from my hometown that is udupi is midi uppinakai or even mango thokku recipe. however i personally prefer this recipe as it is instant and can be prepared within minutes. moreover, it has a fairly longer shelf life and easily survives for weeks if preserved in a dry place. 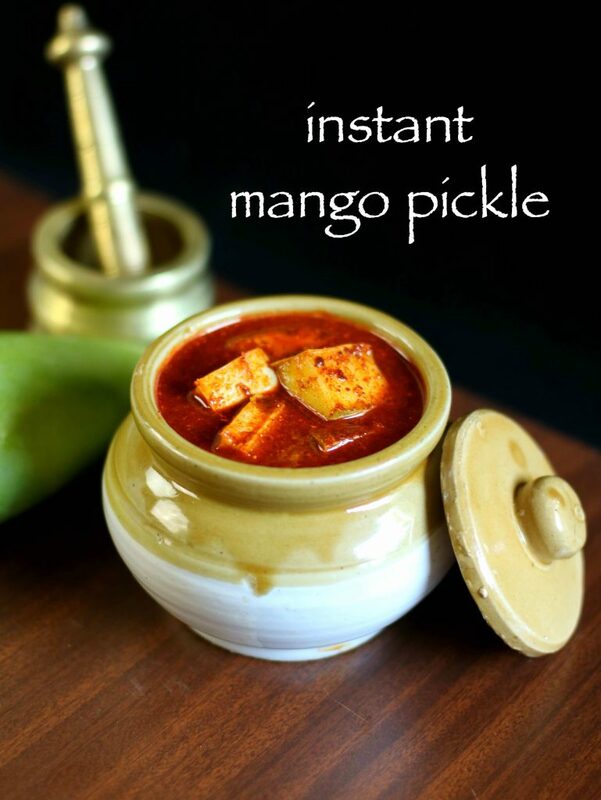 besides, some important tips and suggestions for a perfect mango pickle recipe. firstly, in this instant version of mango pickle, the water should be properly boiled with salt. otherwise, the shelf life would decrease drastically and also the mango would not absorb the salt. secondly, the proportion of salt is directly proportional to the sourness of raw mango. i was having a fairly sour mango and hence i used ¼th cup of salt. if you are dealing with a sharp sour mango, than you may increase the salt quantity by 1 or 2 tsp. 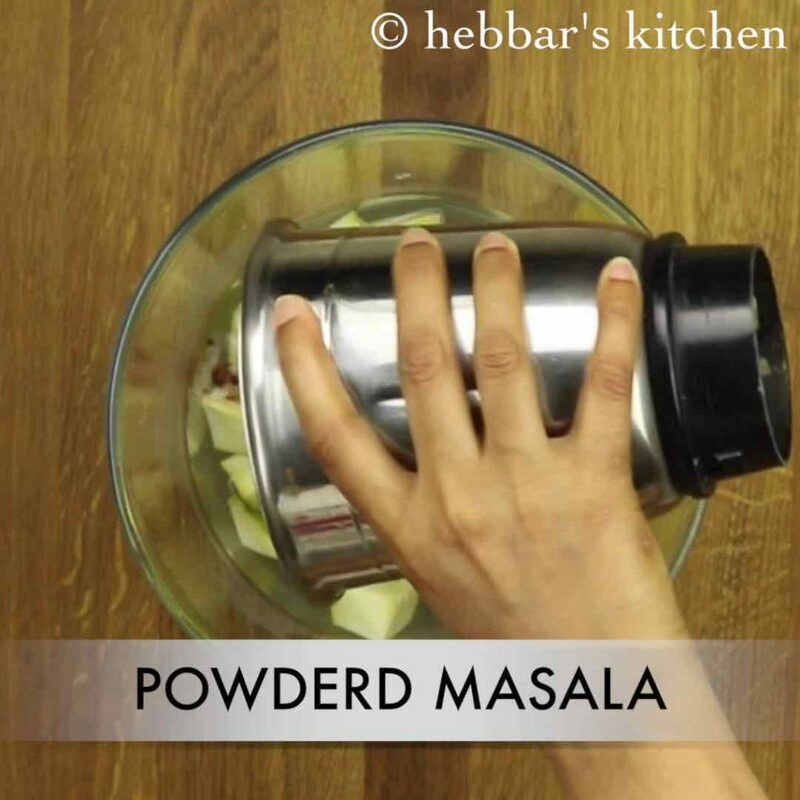 lastly, store the instant aam ka achar in a dry place for longer shelf life. strictly no moisture and also use dry spoon while handling the mango pickle. 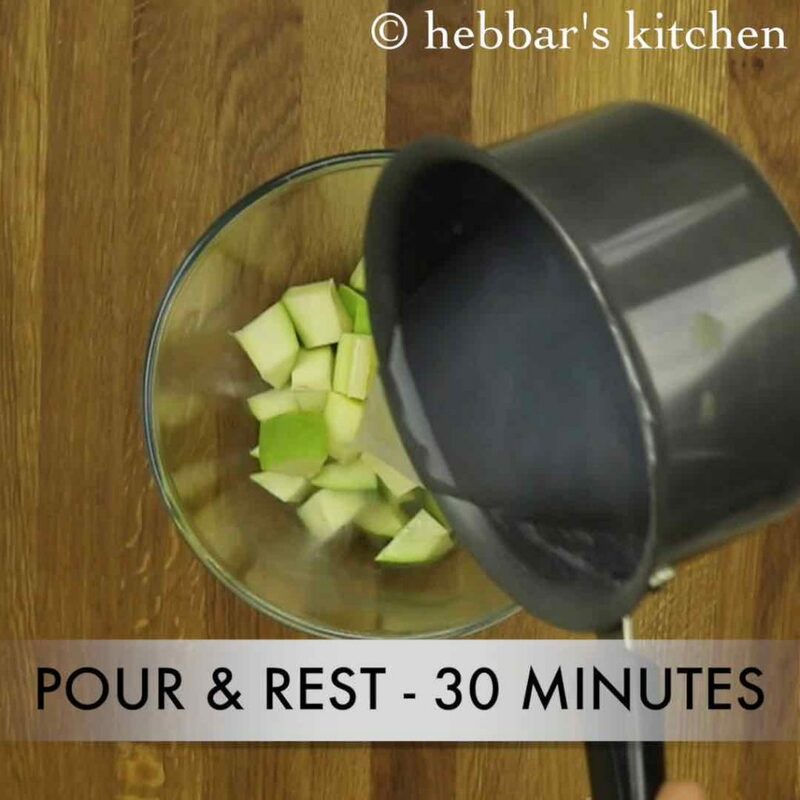 firstly, chop the raw mangoes into small cubes and keep aside in a large bowl. 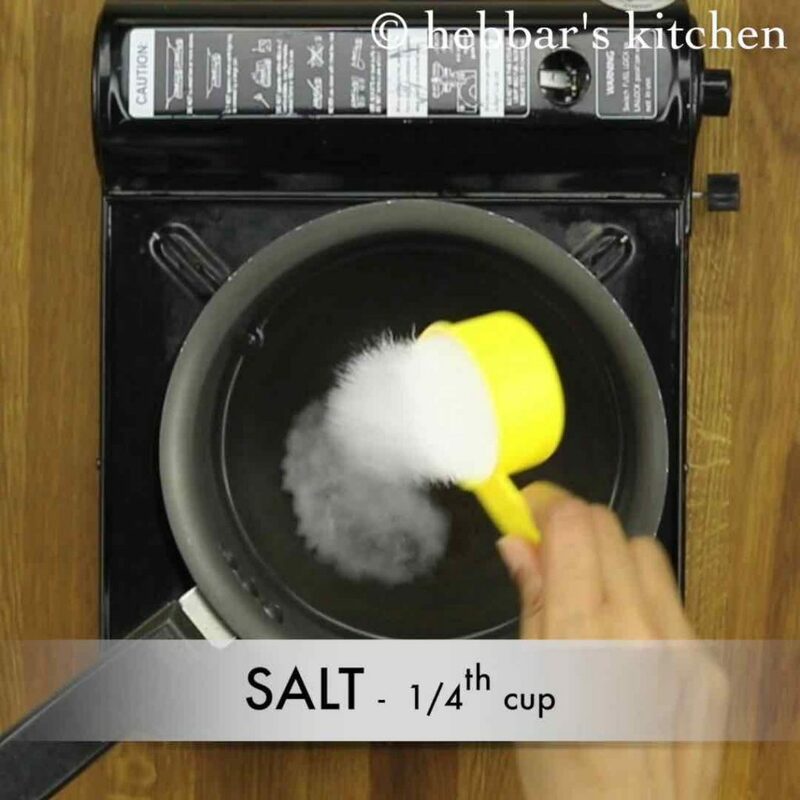 in another saucepan, add 2 cups of water and add ¼ cup of salt. 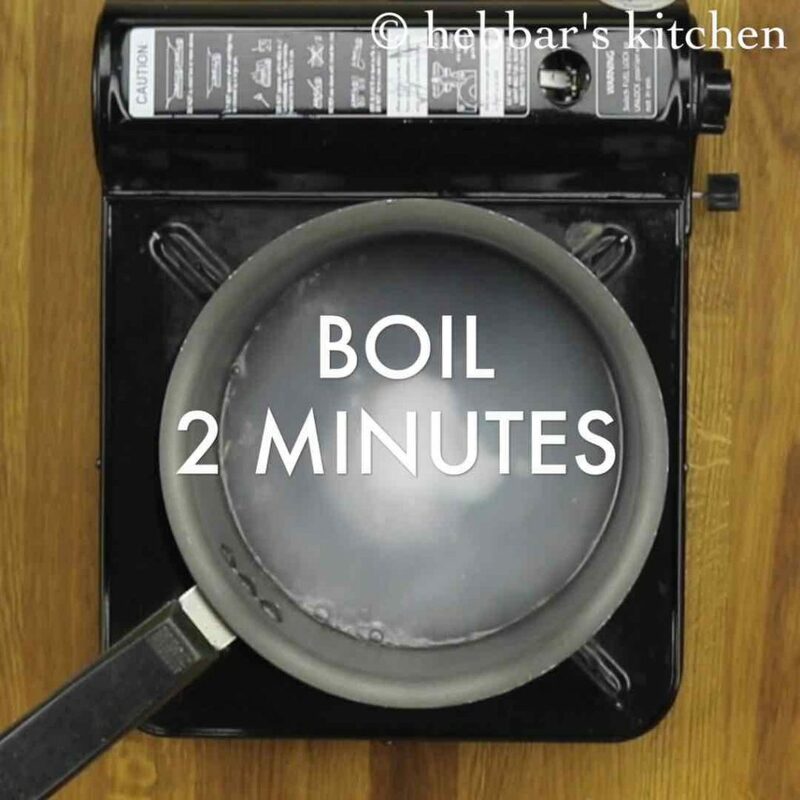 further, boil for 2 minutes. now immediately pour the boiling salt water onto the chopped mangoes and keep aside for 30 minutes. 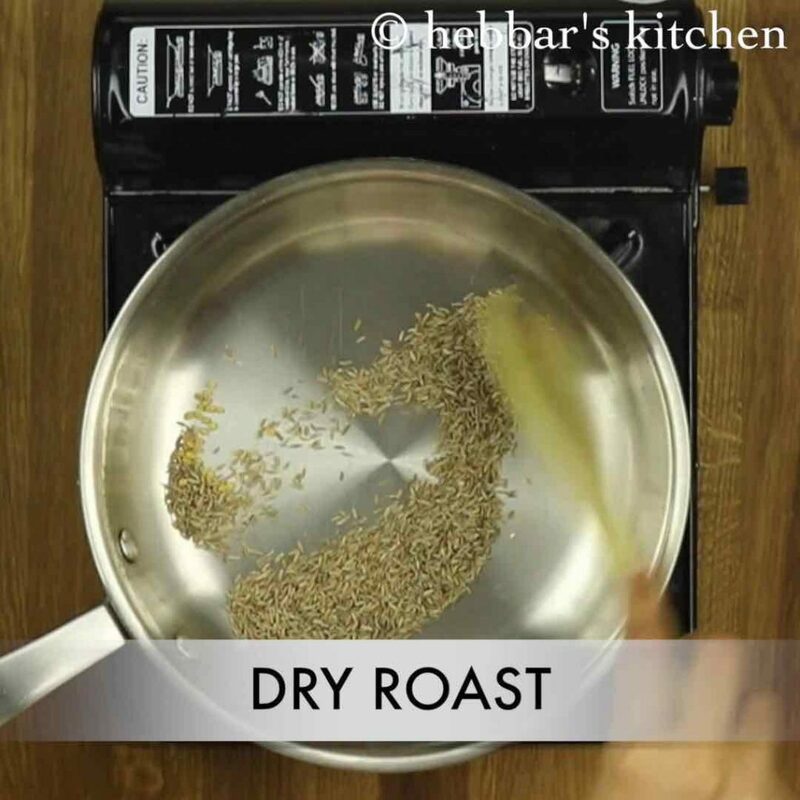 meanwhile, dry roast ¼ tsp methi and 3 tsp cumin seeds. keep aside. also dry roast 8 tsp of mustard seeds and half tsp of hing. keep aside. 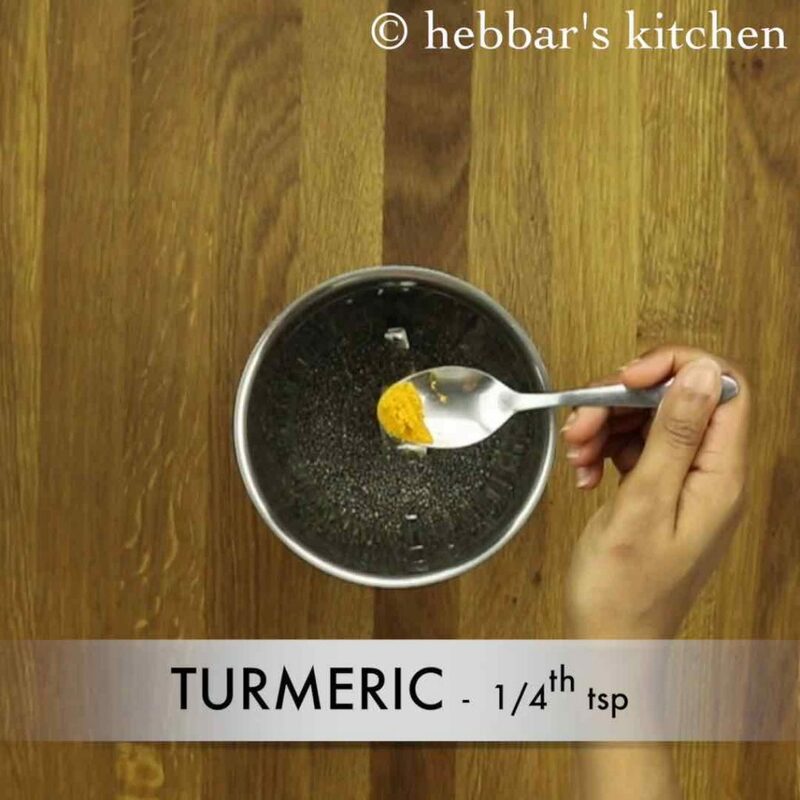 once dry roasted spices are cooled, add little turmeric. 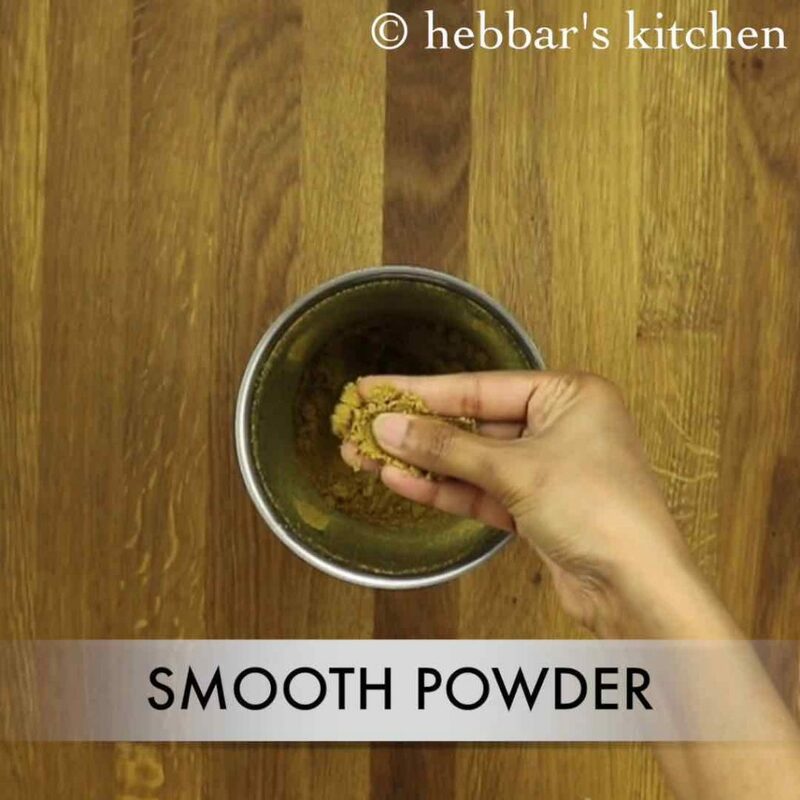 and blend to smooth powder. furthermore, add oil in the kadai. and roast 20 - 25 kashmiri red chilis till they puff up. later blend to slightly coarse powder. add in above prepared pickle masala. 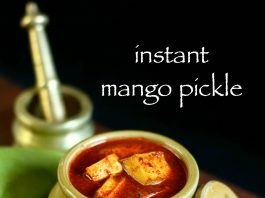 finally, serve instant mango pickle after 2 hours. so that mangoes absorb the masala well. 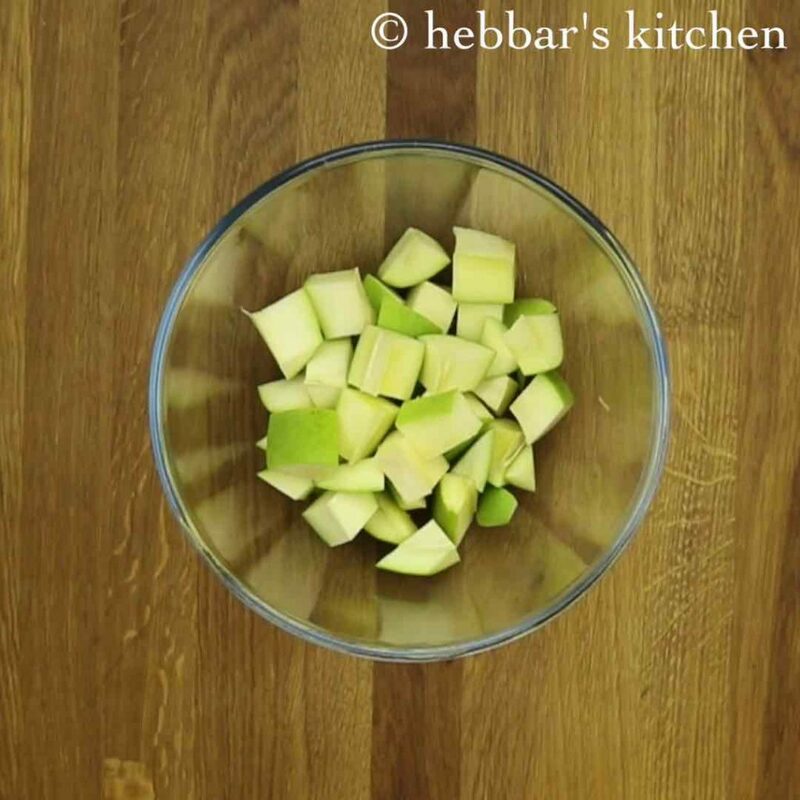 firstly, chop the raw mangoes into small cubes and keep aside in a large bowl. discard the seed. 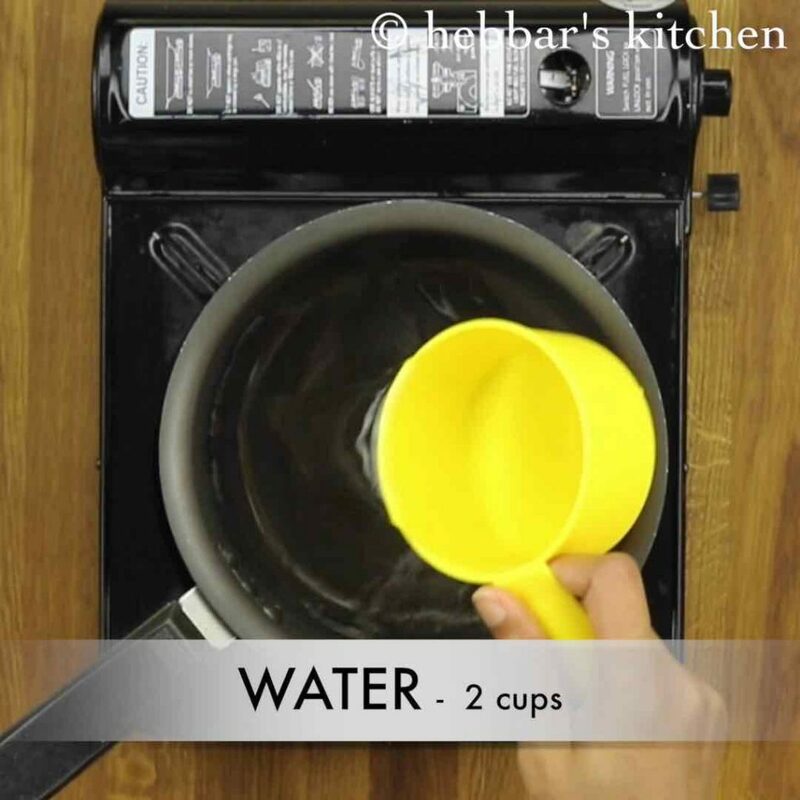 in another saucepan, add 2 cups of water. reduce the amount of water if you do not like watery pickle. also add ¼ cup of salt. add less salt if the mangoes are not sour. now immediately pour the boiling salt water onto the chopped mangoes and keep aside for 30 minutes. or till it gets cooled completely. adding boiling water over mangoes, helps mangoes to soften immediately. furthermore, add oil in the kadai. 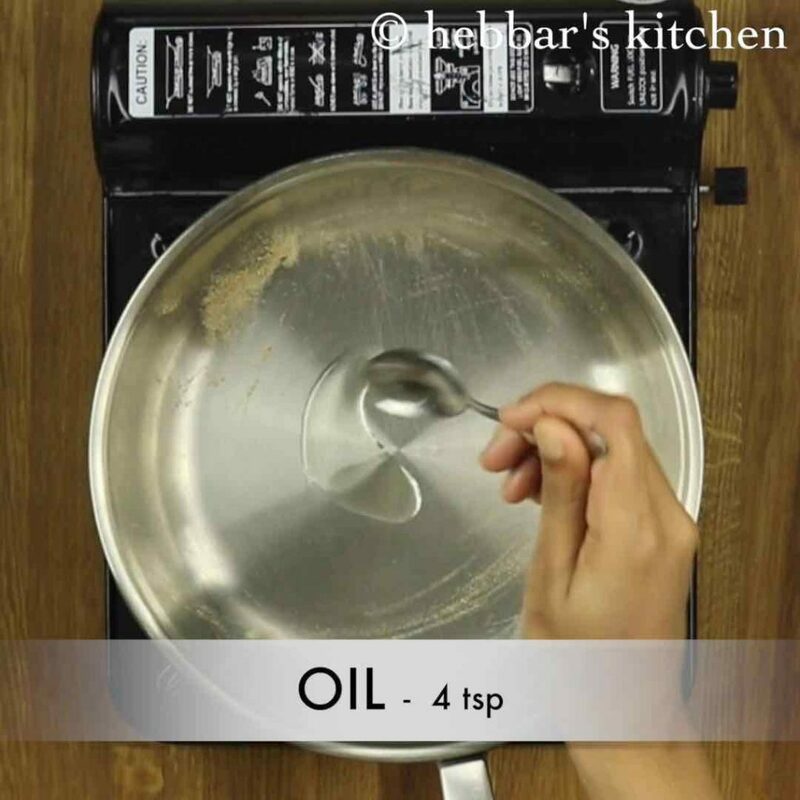 this recipe calls for less oil. 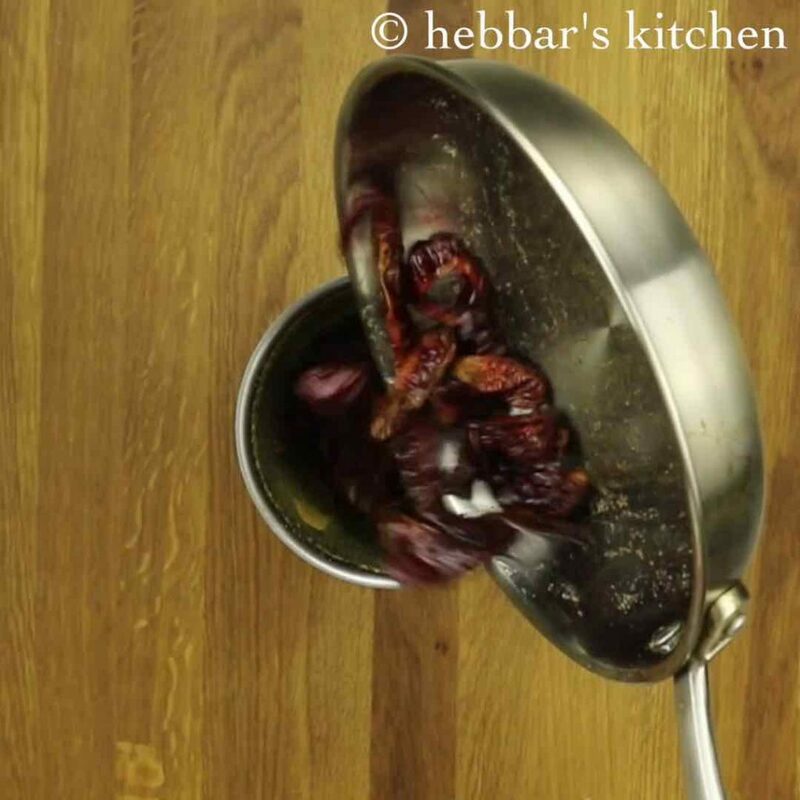 and roast 20 – 25 kashmiri red chilis till they puff up. add in above prepared pickle masala, once the chopped mangoes added to salt water are cooled completely. 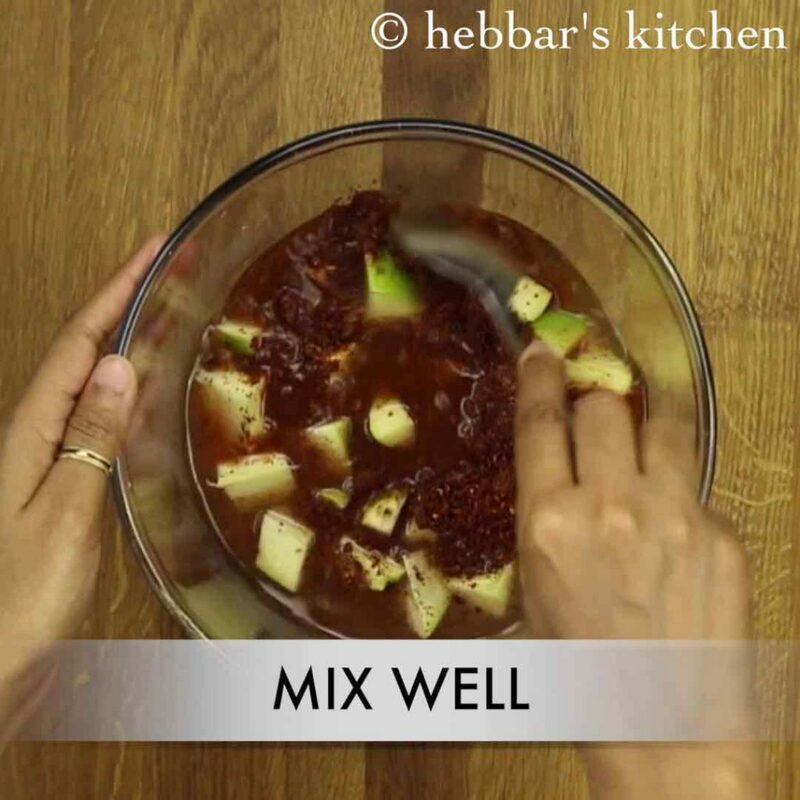 give a good mix and adjust the pickle masala accordingly. finally, serve instant mango pickle after 2 hours. so that mangoes absorb the masala well. pickle stays good for just a week as we have not used more oil. firstly, if you like mangoes to be slightly soft and not crunchy, then boil the chopped mangoes in salt water for 2 minutes and later rest 30 minutes. traditionally, chopped mangoes were soaked into layers of salt for 3-4 days. later the obtained salt water is boiled and added accordingly. this increases the shelf life of mango pickle as we are not adding any water. 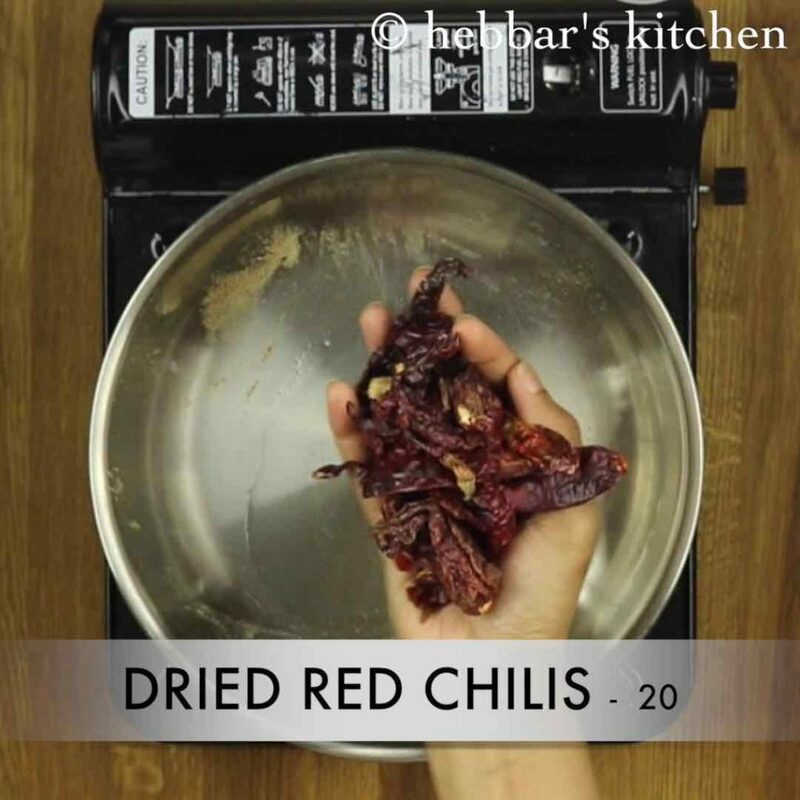 also adjust the amount of red chilis according to the spice level. additionally, temper the pickle with mustard seeds and hing to increase the shelf life for months. finally, instant mango pickle / aam ka achar can be stored in refrigerator to increase the shelf life. By any chance do you have the recipe for Gujarati sweet pickle (lemon or mango either will do). It is very watery.what should I do to Improve it. yes this instant version of mango pickle is watery. i would try to share the thick version soon. should it be very watery or less is fine too?.. I tried this but grinding the mustard seeds made the pickle very bitter and unpalatable.we had to throw away the batch.I’m assuming there must be an alternative to grinding mustard seeds …. what kind of mustard seeds did you use? was it a black one? hi Manisha, I will post it soon.